Manometers, adapters There are 10 products. 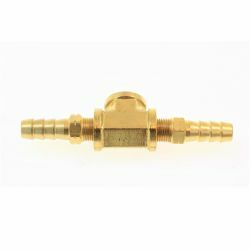 Adapter Sytec for mounting pressure gauges or fuel pressure sensor. Easy installation by inserting into the fuel hose. T Reduction with metric 1/8 NPT (for additional sensors). Brass reduction is made for sensor installation. 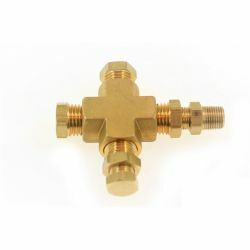 This adapter has been specially designed for leak proof connection for air, water etc..
Fuel pressure gauge with glycerine filling Sytec. Range of 0-8 Bar. Test set of Sytec fuel pressure for low-pressure fuel systems (carburettor engines). Test set of fuel pressure gauge Sytec.